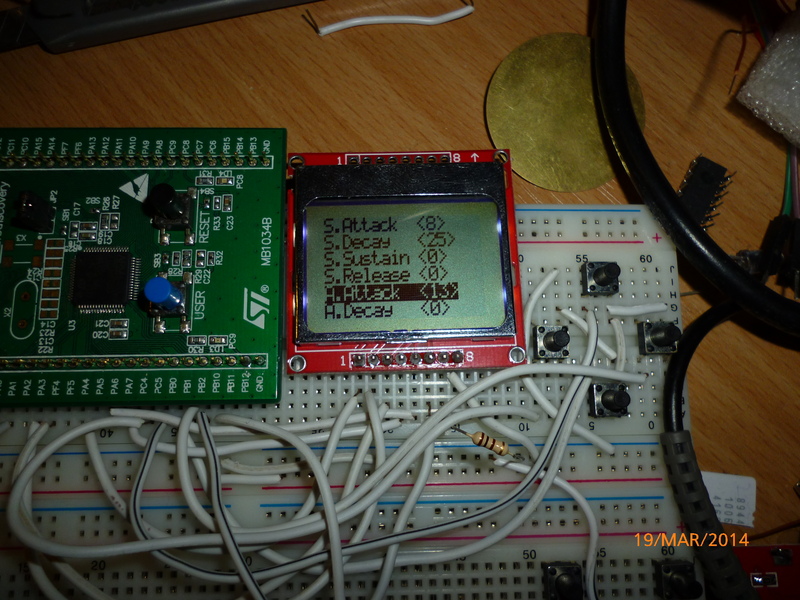 Having had a drastic rethink over the whole Phobass design, I’ve decided that I’m going to scrap the idea of making the patch editing PC based and have a dedicated patch editor onboard. 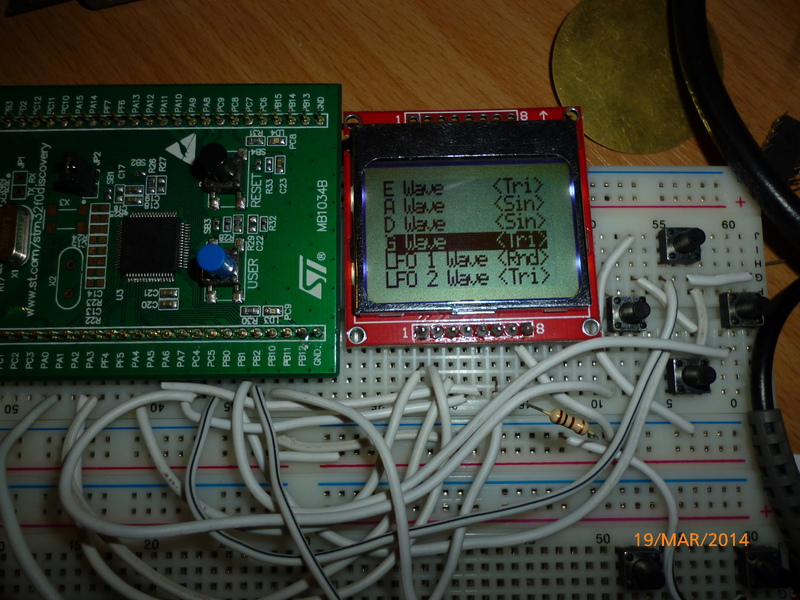 Using my trusty PCD8544 Nokia LCD and the library I wrote, I’ve been writing a menu system. So far, I’ve got the envelopes and waveforms sorted!